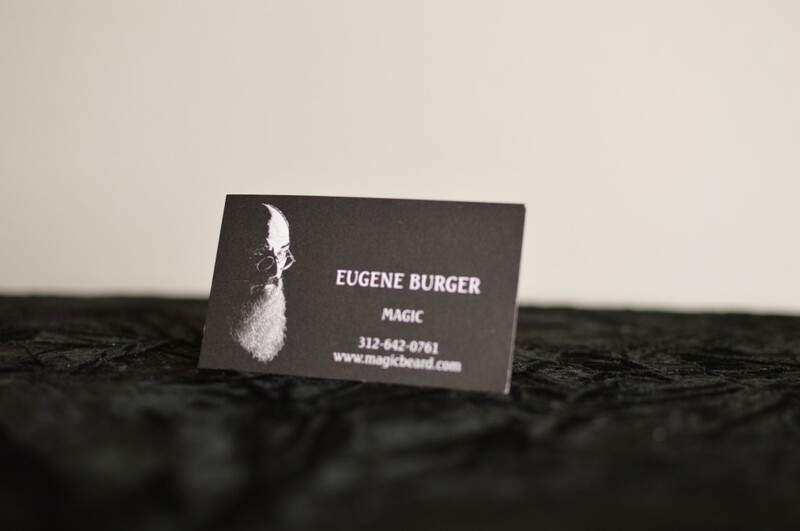 When I began to work on my business card, I modeled the framework of my design off of one of my favorite magician’s business card: Eugene Burger. 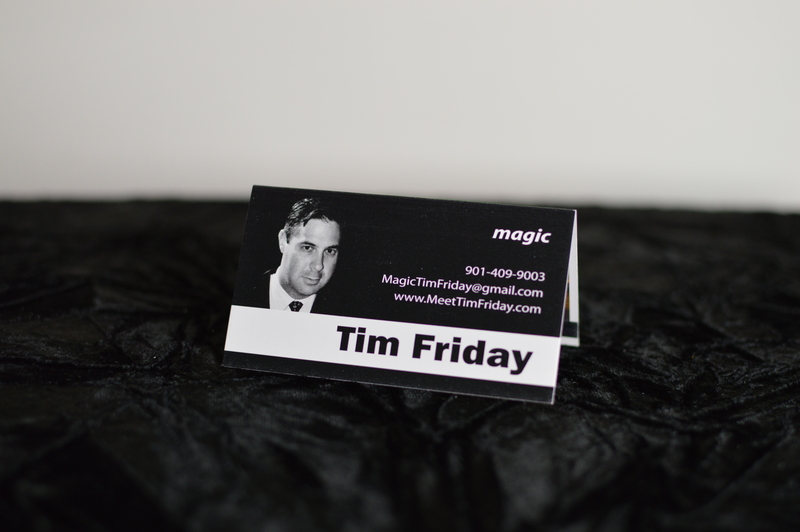 I told my graphic designer I want a card that is simple and elegant, black and white, with helvetica font. I told her to think about how Apple designs their products/marketing. I did not share Eugene’s card with the designer. I sent my headshot, the info to be printed on the card and waited to see what she came up with, after a few adjustments here it is. This is the card I used from 2011 to mid 2013. When I updated my card a few months ago, I sent my new headshot to my designer to be added to the card and I had her increase the size of my photo on the card and decrease the size of my name. Someone pointed out to me that people are more likely to remember what I look like so it would be better to increase the size of the headshot. 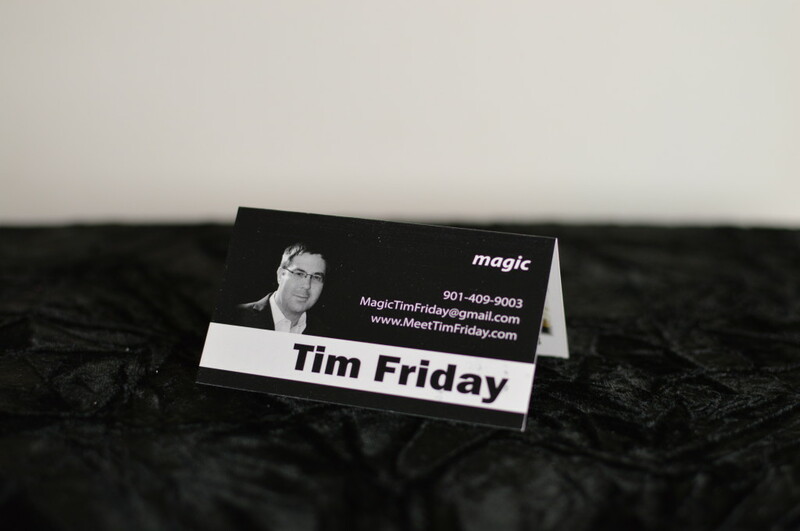 When I got the new cards back from the printer nextdayflyers, there was a problem with the new headshot. The image is very dark and grainy and I found this unacceptable. There are scouring marks that run horizontally across the card. I spoke to nextdayflyers and they agreed to do a reprint even though they said the problem came from the properties of the digital file. I had my graphic designer adjust the photo and I sent it back to nextdayflyers. Here is the final product and the card I am using today. It was very frustrating when I had the problem with the new card. You get your hopes up about receiving the shipment of new cards only to find it’s not good and then it drags out another month until you get your new cards. I’m glad I addressed the problem because I am happy with this card and pass many out each week.